School libraries and teacher librarians in 21st century Australia by the House of Representatives Standing Committee on Education and Employment is the result of the Inquiry into the role, adequacy and resourcing of school libraries and teacher librarians in Australia’s public and private schools. The Report documents the evidence collected from March 2010 until July 2010. The Inquiry was then suspended due to the Federal election. Towards the end of 2010 the Inquiry was reinstated. The Report was tabled in parliament on Monday 23 May. Eleven (11) recommendations have been made. These social networking tools enable parents, students, teachers, teacher librarians and everyone else who is concerned about the state of school libraries to find out more information about this highly topical issue and to join in the discussion. Both Associations see the importance for positive, informative and engaging advocacy activities. You are encouraged to share the wiki and the Facebook page with your school community, your parents, your friends, your local MP and everyone on your Christmas list. Now is the time for our profession to work together, speak with one voice and begin this concerted lobbying campaign to ensure the recommendations are implemented. Here is a list of actions that if completed by each person will show the ‘passion and enthusiasm of teacher librarians’. 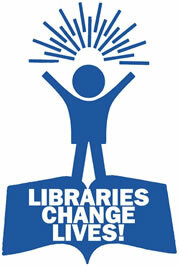 Be an active part of the vision for school libraries and teacher librarians in 21st century Australia. For more information visit the ALIA website.